CR652A Refurbished HP Designjet T1300 44" wide format plotter ePrinter with postscript. Dual roll system with postscript for fast full color plots for cad and engineering. 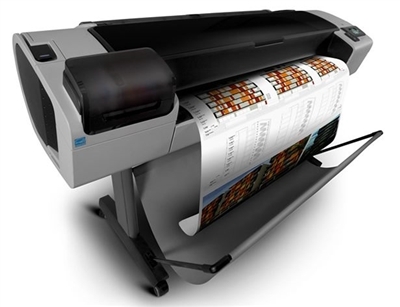 Demo unit with 0-10 Page count - CR652A HP Designjet T1300 44" PostScript ePrinter. Complete with all the original accessories - Includes new ink cartridges and print heads.